Exact results with unexpected and well received animations. Custom contact form. 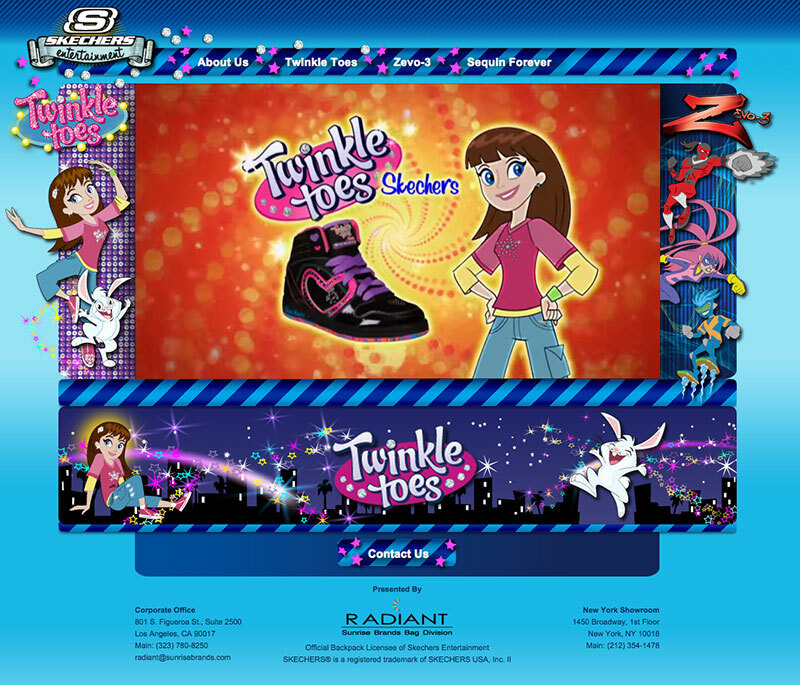 A vendor site for Skechers products, this site needed to be exactly pixel-perfect to the design and IE6 compatible. 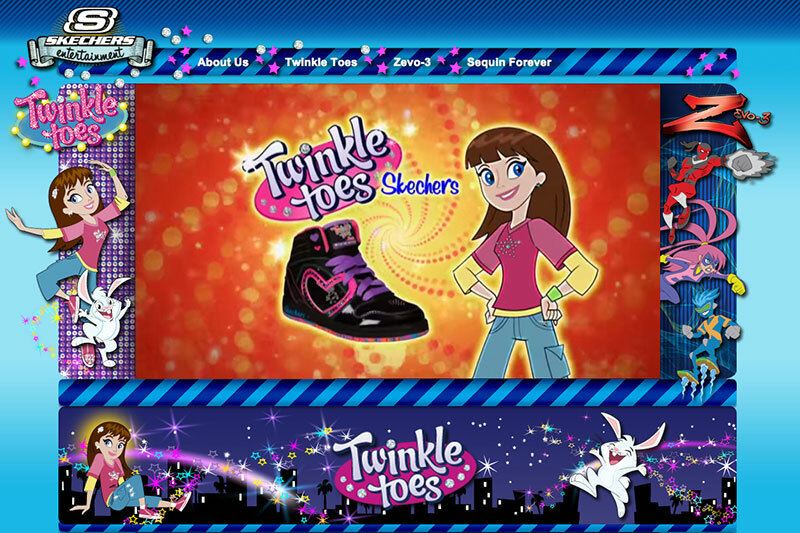 The site required extensive use of photoshop to edit and optimize dozens of graphic elements. In addition, the site required that I build a custom contact form with validation. And I also created multiple sparkle animations with varied timing.